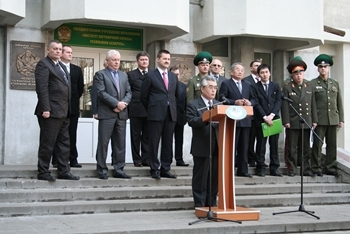 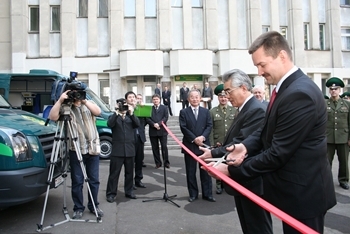 On 25 April, 2011, the official handover ceremony on Japan-Belarus Project “Modernization of the System to Deter the Illicit Trafficking of Nuclear and Radioactive Materials at State Borders of the Republic of Belarus” was held at the Border Guard Institute in Minsk, capital of Belarus. 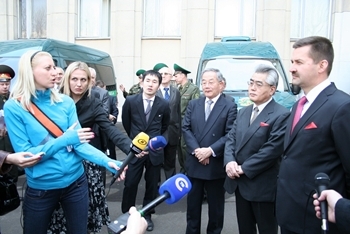 During the ceremony, four mobile laboratories and a specialized classroom for radiation security, established under the Project, were introduced to the Japanese delegation and the press. 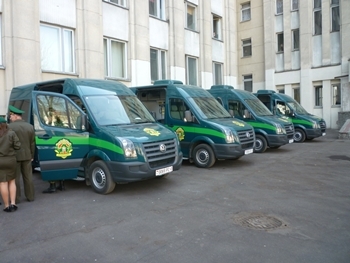 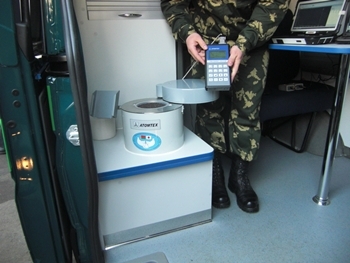 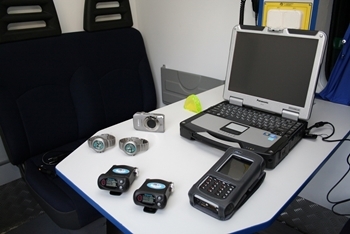 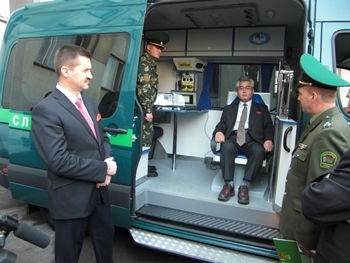 After the ceremony, the mobile laboratories were immediately relocated to their duty stations including Pinsk and Gomel Border Guard Departments near the Chernobyl-affected areas to respond to illicit trafficking of nuclear and radioactive materials and ensure radiation safety of the border guard staff and local population. 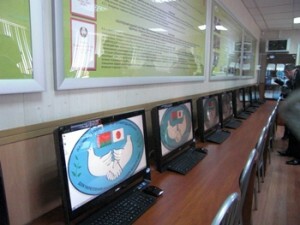 The whole Project is expected to be completed in July.